We look forward to seeing you at an upcoming service or event! 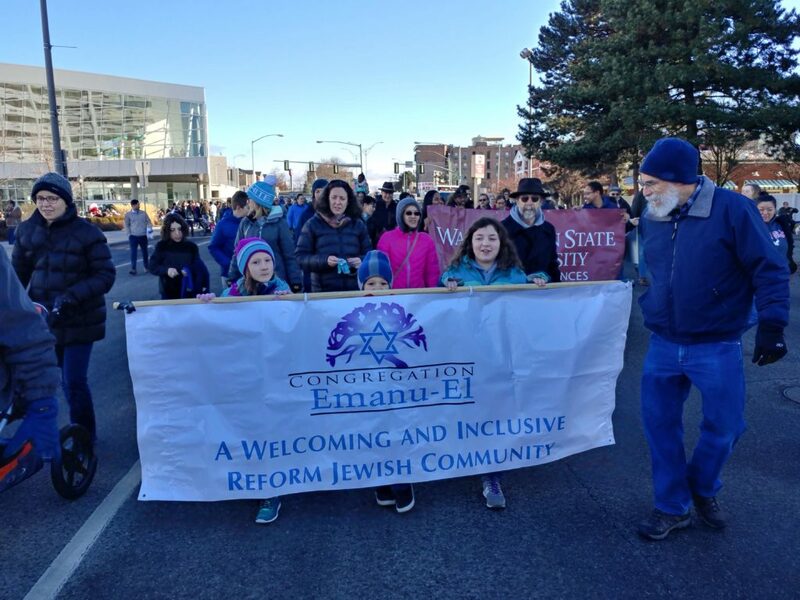 Congregation Emanu-El (CEE) is a Reform Jewish community serving the Inland Northwest. Our mission is to provide a welcoming and inclusive Jewish community that is committed to learning about and celebrating the spirituality and history of Judaism. We invite you to browse our website, attend an event, or contact us for further information. 10:00 am - 12:00 pm: Have you heard the joke about two Jews and three opinions? Panel participants will vary and will represent a wide range of political perspectives on the history and current events of Israel. Moderated by Rabbi Tamar Malino and Education Director Iris Berenstein. This will be the fourth panel occurring this year. This month’s conversation is about the upcoming elections in Israel. Come celebrate with the Giangreco family as Ziggy becomes a Bar Mitzvah! Save the date for CEE’s annual Community Seder on the 2nd night of Passover, led by Rabbi Tamar Malino. 4:30 - 7:30 pm. We must receive your paid reservation no later than Friday April 12th, and cannot guarantee reservations made after that date. See the orange button at the top of this page to register. Join us for CEE Reform Erev Shabbat Service, led by Rabbi Tamar Malino at 6:00 pm. Followed by kosher for Passover dessert oneg. Save the date and check your email for information on how you can contribute to this important fundraiser. Intro Wednesday October 24, Subsequent meetings the 1st and 3rd Wednesdays of the month, November through May, 6:30pm – 8:00 pm. Starting Sunday October 14, 2018 9:30am – 10:45am – Class goes until June 2019. Taught by Rabbi Tamar Malino.